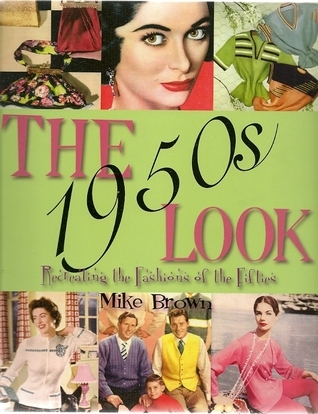 This is a fantastic book which covers all aspects of fashion and accessories from the 1950’s. We get to look back to the look of the 1950’s. Topics covered are men, women’s and children’s fashions including clothes, shoes, hats, scarves, gloves, belt, spectacles, jewellery, watches, bags, cases, umbrellas, hairstyles and make-up.Accompanied by brilliant pictures, photo’s, interesting and fascinating information; my favourite was learning that many men finding out to their cost the slippery properties of the nylon pyjama/sheet combination waking to find themselves on the floor! That made me smile.There are so amazing advertisements from this period and fashion tips from popular magazines of the time Men Only and Woman’s Weekly.The book ends with a nice price guide to show a typical price guide, so we can see how much things cost back then.For someone like myself who was not around in the 1950’s and who is interested in fashion, I found this book a very enjoyable and entertaining read. I liked how the book also included instructions how to make items and I really liked looking at all the pictures.Each page in this book is busy, packed with interesting information that helps us create in our minds the look of the 1950’s.